Hello my fabulously HAPPY friends. Well, it is officially the last day of our Summer over at our house as the littles start school on Monday! (Boo… insert so not happy face Mom) While we’re gearing up with lunch boxes and school supplies, my dearest baby cousin, okay, she’s clearly not a baby anymore (Insert sad face older cousin), is heading off to her Freshman year of college in a few weeks. Hooray! 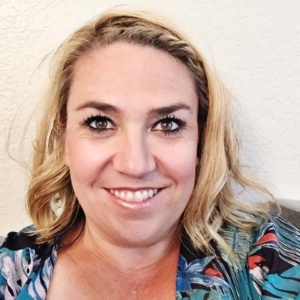 In thinking what I could do to help her with the big move to campus, I thought about the two things that helped me through my first year. Coffee and care packages! 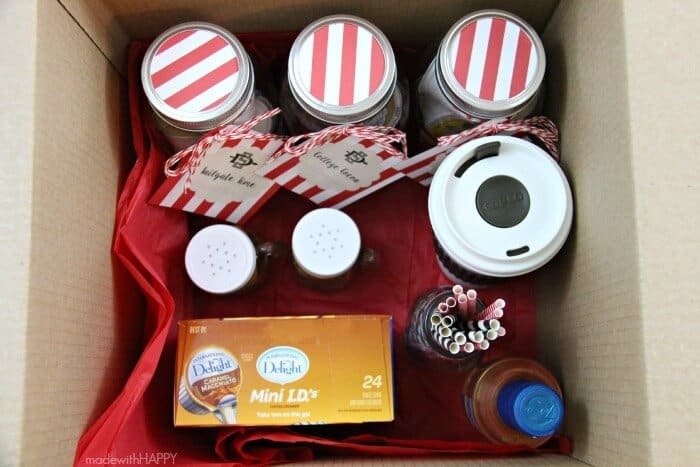 So, I’m sending her the ultimate caffeine charged college care package! 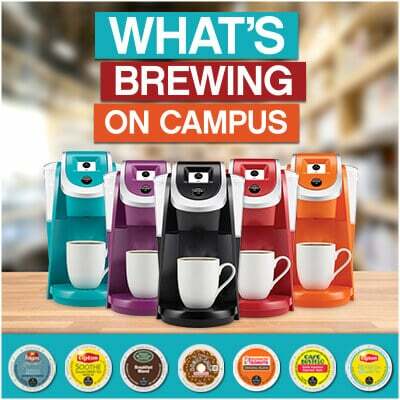 First off, what make the ultimate Coffee Bar dorm setup? Ummm, a coffee maker of course! 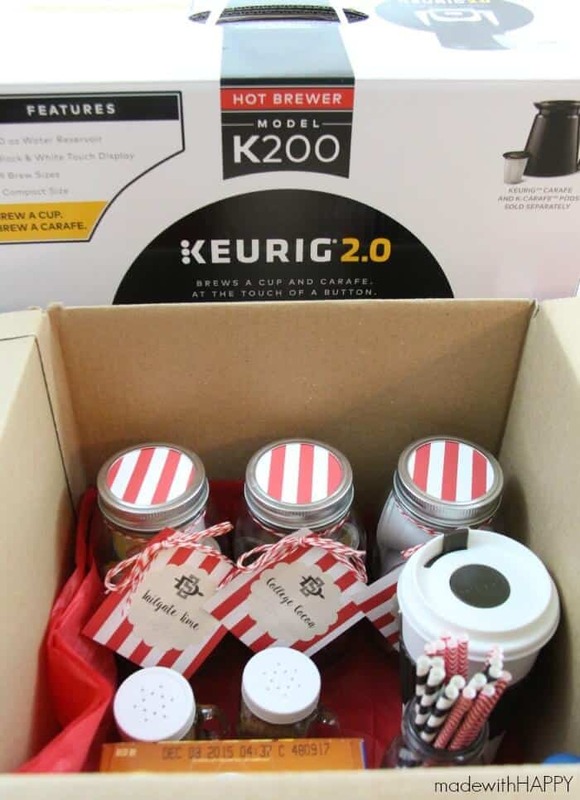 There isn’t anything better than a Keurig, so the kids and I headed off to Keurig at Walmart where they have a great selection of the Keurig® K200 Brewing System. 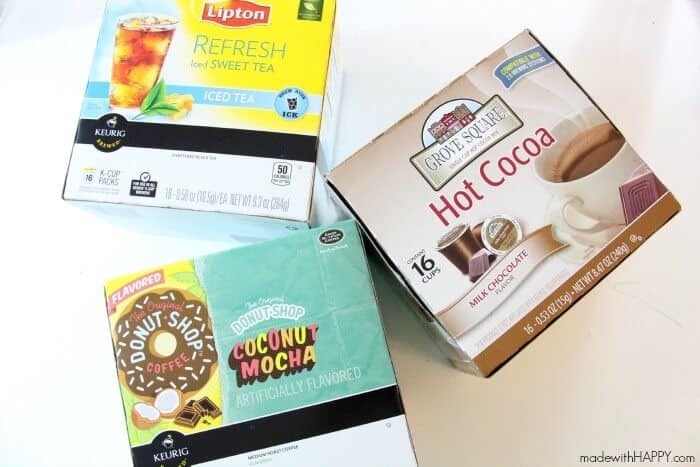 Keurig is perfect for a student budget! Saving them from going to the coffee shop everyday. Added bonus, they come in lots of fun and fabulous colors, which of course I love because why not have a coffee maker that is going to make you HAPPPY? Once we picked out the Keurig, it was off to buy her all the goodies to fill up her coffee bar. We bought coffee, hot cocoa as well as some iced tea to make sure we’ve covered her different moods. Yep, the Keurig does iced beverages as well! We wanted to make sure she had creamers, straws and even some chocolate and cinnamon to sprinkle on top. We even bought her own reusable coffee mug. To give it a more personal touch, we decided to color coordinate her care package with her school’s colors. Its so easy to do and they will love it. 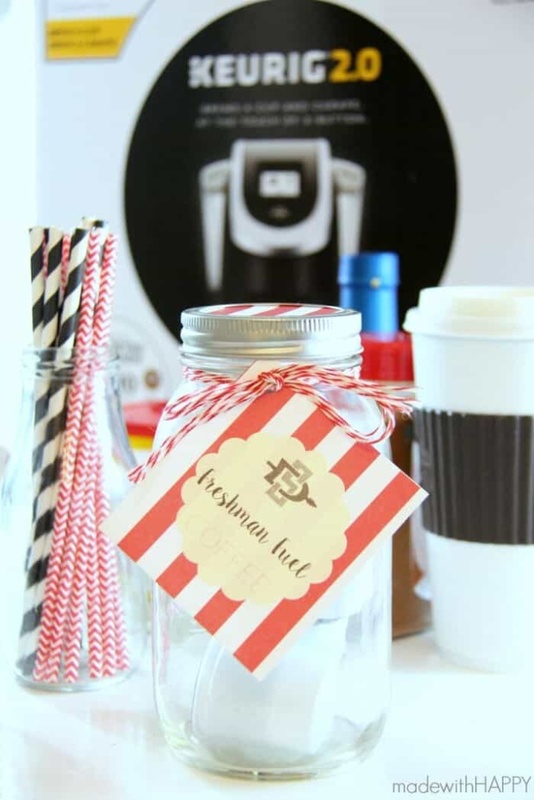 We bought some fun jars to hold each of the K-cups and created some fun label for added HAPPY. 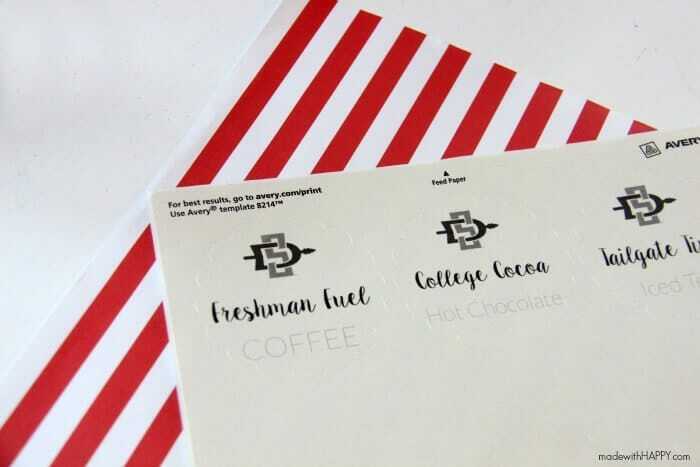 One sheet of scrapbook paper and some labels and you have yourself the cutest caffeine bar in the whole dorm. 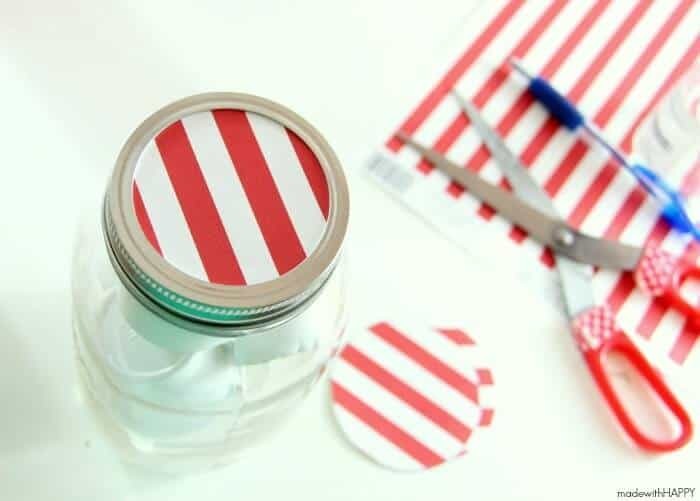 Use some twine or ribbon to attach your labels. Easy peezy! Then it was onto my favorite part. 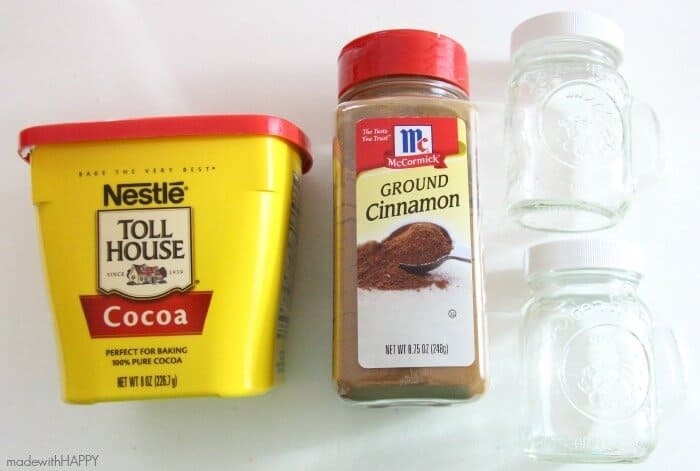 I found these little mason jar salt and pepper shakers at Walmart as well and filled them each with cinnamon and cocoa for some added fun to top her daily coffee. Then its just a matter of packing your box with all your goodies. Its all about keeping it fun and personal. Right before you seal it up, its even fun to throw in some home made cookies. 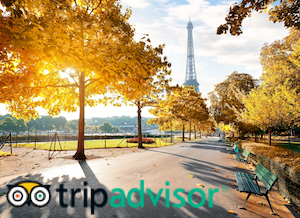 I know your college student will love it. 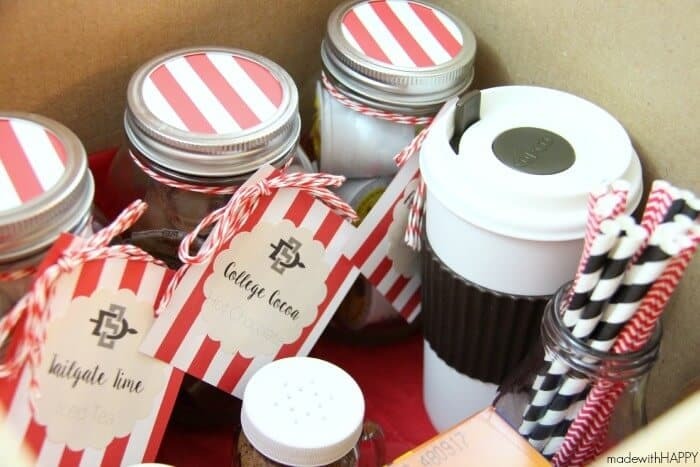 Viola, the caffeine charged care package is ready for a college delivery! What a great idea! I’m sure you just MADE you cousin extremely HAPPY! !